Reading a book is a liberating experience. It gives me the unique freedom to make my own rules. Everyday reading becomes a competition against the hundreds of tempting distractions that await to steal our time and drain our energy. Throughout my eighty-one years I have learned just because you can read it does not mean you know how to read. 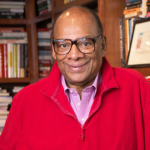 The great books provide growth, excitement, learning, a journey, and activate change. Reading will always be a choice. Reading will always be our responsibility. Reading can take us to places we have never been while changing our attitudes, behavior, and performance. 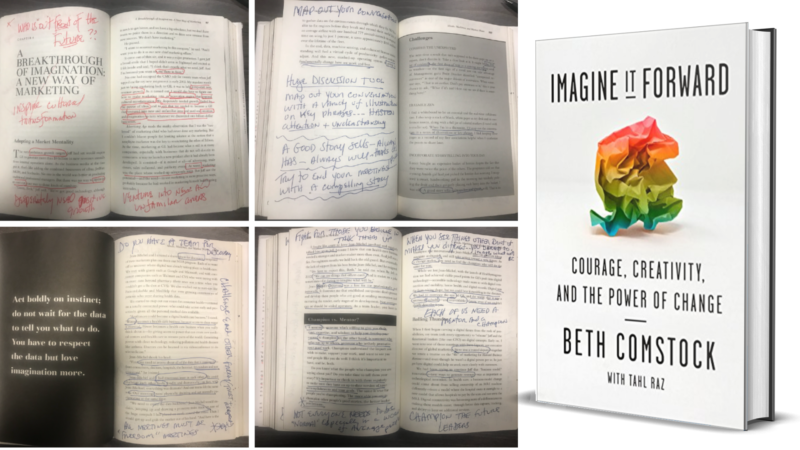 Two weeks ago I shared part one of thirty-one incredible takeaways from Beth Comstock, and Tahl Raz book Imagine It Forward: Courage, Creativity, and the Power of Change. Due to the abundant amount of invaluable lessons that resonated with me, I wanted to share these additional wisdom gems in a second post. As learned while reading this book the unfortunate truth is most of us fear to lose what we have more than we desire winning something we do not have. The better we get at doing one thing, the less we want to work on something else. 1. Close the gap between what we do not know and what others do. 2. Not everyone needs to be “normal” especially in a world of average people. 3. Look at constraints as a source of creativity rather than as a temporary hardship to overcome. 4. Be independent enough to rebel without getting fired. 5. Uncertainty can be a signal that it is time to change. 6. There is a significant problem going on where everyone is talking, but nobody is listening. 7. Conflict can make your ideas better. 8. Make part of your each day uncomfortable, unfamiliar and new. 9. Help others accept a reality they do not want to acknowledge. 10. Opposition: Assume the opposite of convention. Good is bad and bad is good. 11. Do not look at the world like most people do. 12. Critical thinking is the most essential skill we can teach our children. 13. Sometimes an idea and strategy need a new voice. 14. Sometimes the timing may be wrong, the company may be wrong, and the boss may be wrong. 15. You cannot see the label on the box if you are inside the box. 16. When a person fails, offer a solution. 17. Our future is far from taking shape, but we can hear its rumblings in the distance. 18. Be independent enough to question and provide a more in-depth and deeper conversation. 19. Look at what is not happening and imagine what could. 20. See and feel things from the other person’s view. 21. Open up our thinking. It is one of the most important gifts of a discovery-based approach. 22. We are a family. Live it. Do not just say it. 23. Everyone has at least one thing that needs improvement. 24. Remove the barriers that prevent people from being successful. 25. Leaders are not accountable for their follower’s happiness. 26. The way you think is the way you behave. 27. Every word has a mental highway. 28. Lean into the unknown, not away from it. 29. Sometimes everyone can be wrong but you. 30. Resist the urge to think it’s up to others, you must take the initiative. 31. What is the point of being efficient if we are not useful? What is the point of being effective if we are not productive? Two weeks ago I shared part one of thirty-one incredible takeaways from Beth Comstock, and Tahl Raz book Imagine It Forward: Courage, Creativity, and the Power of Change. Due to the abundant amount of invaluable lessons that resonated with me, I wanted to share these additional wisdom gems in a second post.